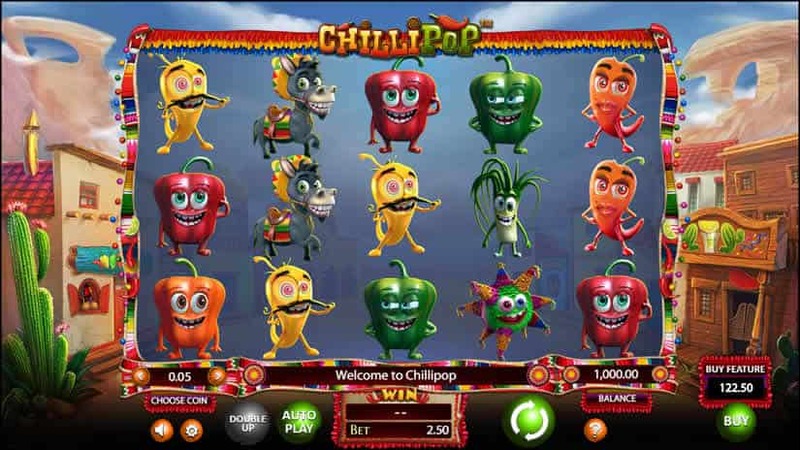 The ChilliPop slot is an exciting HTML5 video slot release from BetSoft Gaming. ChilliPop has a sort of Mexican food theme, based mostly on vegetables with a few other symbols. The overall design is well done, in high definition, with crisp, clear graphics and smooth animations that come together to make a very pleasant game experience. At its base, ChilliPop is a five-reel, three-row slot containing symbols made up of various kinds of peppers, onions, tomatoes. Then there are two special symbols, a pinata, which is the wild symbol on this slot, and a mule, which is the scatter symbol. The ChilliPop slot uses a cluster pay payout scheme, meaning that there are no traditional pay lines, but wins are paid out based on three or more symbols being connected to each other anywhere on the grid. Actual payouts are calculated based on how many symbols are in a cluster and which symbol has won. The top paying symbol pays 12 times the coin value for each symbol in a cluster. The lowest paying will give you back two times the coin value for each symbol. ChilliPop also uses a falling symbol, exploding wins type of game mechanic. Rather than traditional spinning reels, each time the spin button is pressed, the playfield clears and symbols fall in from the top of the screen to fill the grid. When a win occurs, the payout is calculated and the winning symbols will explode and be removed from the board. Remaining symbols will fall to the bottom and new symbols will fall in from the top to fill in any open spaces. If another win is created, the process repeats. This will go on until no further wins are created and all wins will be added together and paid to the player. Setting up your wager on this slot is very easy and straightforward. The game operates as if it were a 50 fixed pay line machine, giving the player the single option of setting the value of the coin to be used. So, simply choose your coin value and it will be multiplied by 50 to come up with the total bet per spin. 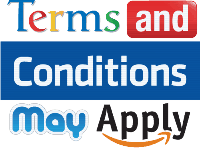 The minimum coin value available is £.01 and the maximum is £1.00. It shouldn’t be too hard to deduce from there that the minimum overall bet per spin is £.50 and the maximum is £50.00. ChilliPop has an exciting bonus feature that can expand the play grid all the way up to eight rows by eight columns, allowing for 64 symbols to appear on the reels. Combining expanded reels with wild symbols can lead to huge rewards. The design of this slot is colourful and fun. The characters on the reels are most certainly cartoons, but they are done in a way that doesn’t come off looking too childish. ChilliPop appears to be a medium volatility slot, delivering small wins at a fairly consistent rate, but there are also opportunities for some truly colossal wins on this one. The minimum and maximum bets on this slot seem both a bit too high and a bit too low respectively. At £.50 per spin, conservative players might not feel comfortable while at £50 per spin high rollers might be looking for something more. The paytable shows off an astonishing bonus payout of £50,000 (playing at maximum bet) which sounds great, but it requires a match of 64 symbols that must be nearly impossible to achieve. The player would first have to expand the playfield to it’s maximum eight by eight grid and then fill that grid completely with wild symbols. Although this is a very fun slot to play, there is really only one bonus system based on free spins with no interactivity (except for the “double up” feature which lets you gamble any regular winning payout). If you’re a fan of slots with multiple bonus features and need some interactivity to hold your attention, you might not like ChilliPop. The return to player (RTP) for this game is 95.28% which is a little below average. As we mentioned above, the ChilliPop slot contains both wild and scatter symbols. Each of the two serves a sort of double purpose. On a regular win, wild symbols add a multiplier to the win amount. Each win with wild symbols in the cluster is multiplied by the number of wilds plus one. So, for example, if you won with two wilds in a cluster, your overall win would be multiplied by three. Wild symbols also pay out a special bonus if you happen to fill the grid completely with wild symbols. Since the playfield can expand during free spins, the total amount you can win varies. Filling the standard five by three grid with wild symbols (15 symbols) will reward you 50 times your bet. If you manage to fill the fully expanded eight by eight grid (64 symbols) you’ll win 1000 times your bet. There are also various prizes in the middle. Scatter symbols award free spins, as you might expect, but once free spins begin, additional scatter symbols landing will expand the reels up to a maximum of eight by eight. The number of free spins awarded varies with the number of scatter symbols that land. If you get three, you’ll be awarded the minimum of five free spins. If you manage to fill the entire five by three grid with mule symbols, you’ll be awarded 26 free spins. During free spins, as more mule symbols land, they add to what the game’s creators call the “mule trail”. As more mules are accumulated, you can expand the reels to create more chances of winning. Accumulating five mules will add one row, making the playfield five by four. Getting the total up to ten mules will then add a new column, making the playfield five by five. This continues as the count grows up to a maximum of 70 mules and an eight by eight playfield with 64 symbols in view. There are good and bad news about this slot. The good news is that you can find Betsoft games in casinos catering to different regions. You will be able to play Betsoft slots at USA online casinos, Australia online casinos and other casinos catering to European players, like the best UK casinos.